With grants from the National Science Foundation, the ECS team has been exploring the state of computer science education and developing evidence-based programs for nearly ten years. ECS projects and teams are housed at UCLA and University of Oregon. Our research on student indicators addresses participation in computing by traditionally underrepresented students in terms of enrollment, access, knowledge and skills, problem-solving, and attitudes. Through ethnographic field research, along with several years of pre- and post-student surveys, teacher surveys, and student/teacher interviews, we have identified critical pedagogical practices. 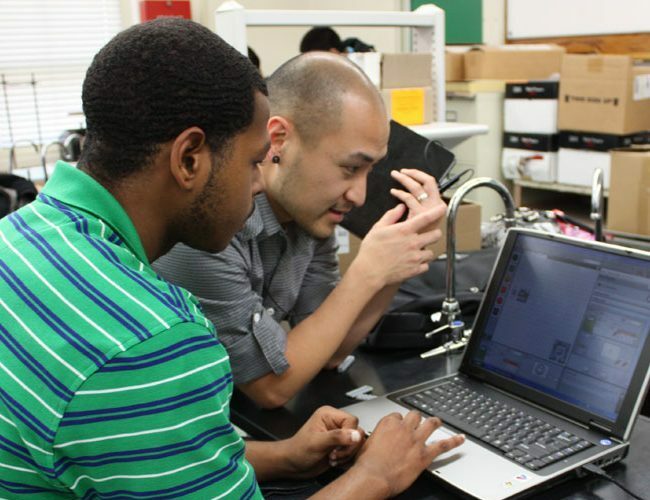 Our curriculum and professional development programs are supported by a large and reputable body of work on the topic of equity in computer science education. We are well-published and always have something in the works. Here’s a sneak peek: See what’s coming up next for the Exploring Computer Science team. View the ever-growing bibliography of published articles authored by ECS researchers at UCLA and University of Oregon. Our team members frequently attend and are invited to present at conferences. Stay tuned for updates on where we’ve been and where we’ll be next. 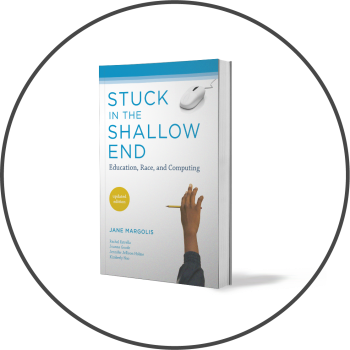 Exploring Computer Science finds its roots in the landmark book Stuck in the Shallow End: Education, Race, and Computing, by Jane Margolis with Rachel Estrella, Joanna Goode, Jennifer Jellison Holme, and Kim Nao. Originally published in 2008 by MIT Press, the second edition was published in March 2017. Stuck in the Shallow End is a story of how inequality is reproduced in America—and how students and teachers, given the necessary tools, can change the system. Since its publishing in 2008, the authors, in collaboration with other researchers and consultants, developed Exploring Computer Science, a program that addresses many of the findings of this book.